Last month I was fortunate enough to be one of the 80,000 to descend on Austin, Texas for South by Southwest Interactive (SXSWi) — the event of the year for those with an interest in design, technology and business. Across my 10 days it became clear that the sheer breadth of talks on offer could easily become a challenge. The conference is packed with so much content — from IoT developments to design best practice — that it is all too easy to get lost. SXSW’s true value can be found around the edges — diving into the panel discussions with great enthusiasm, while also taking note of the common themes that run through conversations in areas as diverse as healthcare, mobility, climate change, data science, space exploration, business and government policy. I have pulled together a short selection of these themes below, focusing on topics that were touched on in at least three or more separate sessions. These common themes were highlighted by a diverse range of speakers — leaders in design, advocates of blockchain technology, policy makers, social science students, self-help book authors, and a tertiary healthcare centre manager from rural Alaska — and I hope this variety makes their shared viewpoints all the more powerful. Above all, I hope it enables you to cut through the immense noise around SXSW and identify the key signals of what the future holds. A common thread — and a slightly counterintuitive one, given the audience — that ran through this year’s SXSWi was the notion that not every problem can be addressed by developing new technology. In fact, many speakers agreed that taking stock of a current system and examining context around an issue could often generate powerful results with minimal technical effort. Joanna Strober of Kurbo Health, a platform assisting children with weight loss, argued that her company had no current need for advanced AI. Instead, they help children understand nutrition by educating them within a familiar context — via smartphone apps used in the school canteen — while also targeting the wider family. They found that considering the child’s environment, not just the child themselves, achieved results, and 55% of parents with children using Kurbo Health also lost weight. Author and popular NPR host Malcolm Gladwell pointed out that the emergence of new technology often raises an entirely new set of questions and ‘forces a whole chain of downstream adjustments’, which ‘even if well intended, may end up causing more harm than good’. 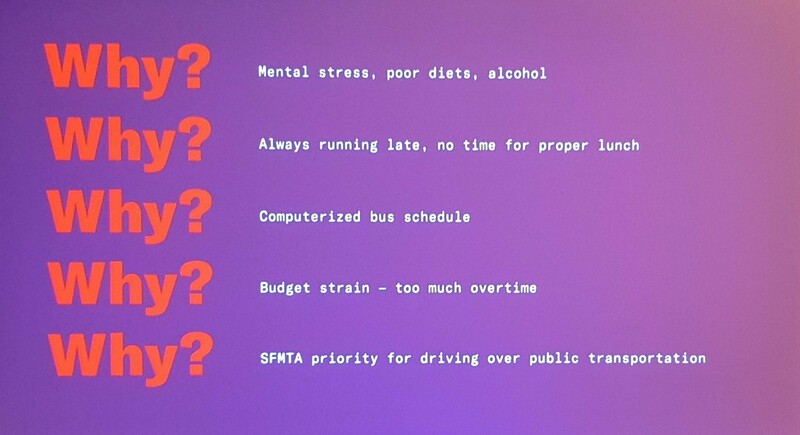 Google’s Kapil Parakh pointed out that new technology can sometimes outpace a system’s ability to integrate. He raised the example of patients wanting to share activity app data with their doctors, who may not be set up to assess and analyse the information — while it is fantastic to see people taking a proactive interest in their own health, the wider system isn’t currently prepared adequately enough to make use of it. Ben Sheppard presenting the findings of the “The Business Value of Design” report. 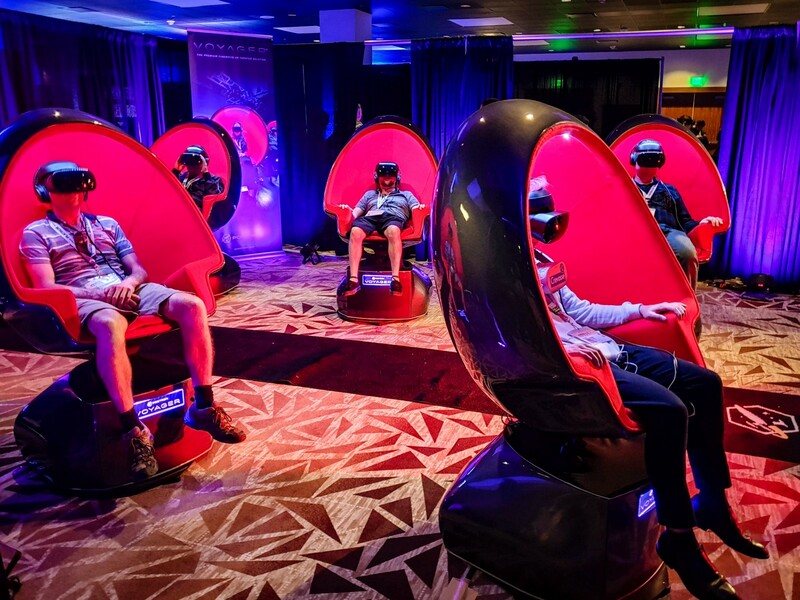 While development remains crucial for most organisations, this year’s SXSW saw design make a land grab for the second half of the R&D acronym. 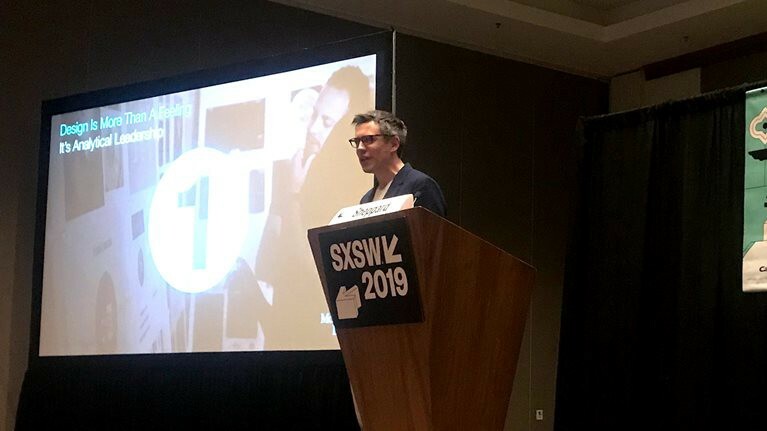 It is now seen as a core business asset — in fact, McKinsey’s Ben Sheppard’s presentation of the report on The Business Value of Design was so popular that 500 visitors had to be turned away at the door, according to a SXSW volunteer I spoke with. Historically there have been two big barriers to businesses truly embracing design — difficulty in quantifying its value, and a perception of its process as unstructured and unpredictable. Many organisations are now recognising that predictable actions also lead to predictable outcomes, and there’s been a definite mind set shift. Companies have come to view design as a powerful innovation machine and have allocated teams to conduct foundational design work without a defined commercial or ROI route, just as a R&D team would. Adobe’s Samantha Warren shared this view whilst talking about her ‘Design Stretches’, and also gave examples of success, saying ‘This anti-design sprint that doesn’t aim to develop anything specific brought about web-apps three years before the technology was ready for them, and gave us our product suite of today’. Tom Giannattasio from Invision pointed out that that R&D does not always need to involve inventing from scratch, and said there was no shame in being ‘extremely inspired’ by someone else’s work. Research can involve taking an idea from ‘out there’ adapting it for your organisation’s unique needs. Google’s Head of Health efforts Dr Feinberg in conversation on how AI will change medical professions. Recent years have seen an endless stream of headlines claiming that automation will lead to widespread job losses — so I was surprised that SXSW featured so many speakers from a non-technical background who railed against this line of thought. There was widespread agreement among speakers and panellists that AI will change employment opportunities rather than remove them — and empower better service and results. Writer Malcolm Gladwell stated that while he was concerned about automation’s societal challenges, the concept of truck drivers losing jobs to self-driving vehicles ‘is the one thing I am not worried about’. Responsible automation should see roles changed to focus on other aspects of the position, and he noted that even self-driving trucks would still require humans to oversee, load and unload — the human element would remain an essential role in taking responsibility for cargo and vehicle. This was echoed by Dr. Feinberg, Head of Health Efforts at Google, who noted that optimisation in healthcare would provide medical professionals with more time to spend with patients (a recent QuantumBlack article touched on this theme in some detail). I was excited to hear so much discussion around how design processes in technology development could be automated. Prototypes of design-enhancing tools have been available for some time, but common consensus at this year’s SXSW was that these would very soon form part of our everyday design activity. To me, this was a snapshot of AI’s potential — tools which leverage existing design systems to deliver finished, fully-responsive code for interfaces by simply scanning a hand-drawn sketch of a wireframe would streamline the process and empower designers with more time for the creative flair that only humans can bring to a project. 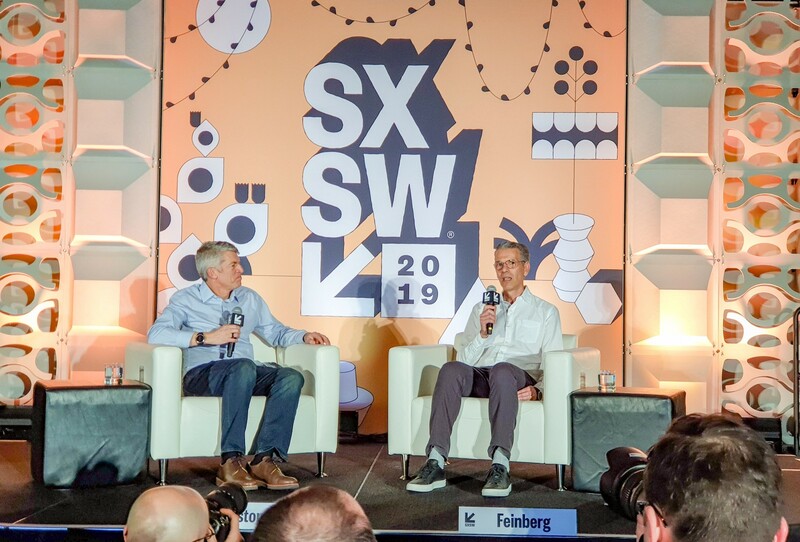 Despite a vast range of topics and speakers, SXSW 2019’s consistent narrative seemed to be one of ambition. We’ve moved on from discussing technology’s faintly possible applications and are instead focused on the achievable. There was far more certainty around how technology could be implemented, and this led to interesting discussions over whether it even should be in certain situations — and what the consequences would be.